11th September 2001 was the day which effected the whole world including my country Pakistan. 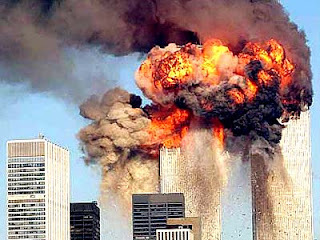 After 9/11 attacks US along with other Western Countries attacked Pakistan's Neighbouring Country Afghanistan. Pakistan's President of that time Pervez Musharraf also decided to become American ally in this war and given Pakistani Bases to US for attacking Afghanistan. Later on Pervez Musharraf also sent Pakistani Forces to Tribal areas for operation. All this effected Pakistan very badly. Pakistan which was a quite peaceful country before started to face massive terrorist attacks. Pakistani Tribal areas where also very peaceful but army operation in these areas became a cause of Insurgency. 10 Years of 9/11 and Afghan war are completed but Pakistan is still facing Terrorism and Insurgencies. Pakistan's Image and Economy is also badly damaged by terrorism and Insurgencies. the Impact of all this was also very negative on Pakistani Society.